Tour this year was to Bournemouth and we were scheduled to play at two festivals – the Oakmedians Festival at their very pretty ground and the Bournemouth Festival at their massive grounds next to the airport. Most players arrived down on the Friday and had a late night exploring the Sandford complex that we were staying at while testing their parents’ finances and patience at the amusement arcade. We had a short journey to Oakmedians and parked up nice and early almost pitch side for our first festival with the sun making intermittent attempts to remind us it existed. We had two teams – the Dragons and the 9 Horsemen of the Apocalypse. The 9 Horsemen were death, pestilence, famine, Nintendo switch, war…oops….Alfie, Michel, Seb, James B, Noah B Mc C, Theo, Tommy T, Christian and Tom C. Seb was Captain for the day on Saturday. The morning then took a turn for the worse when we realised how tired our Horsemen were and how our players were up for tree climbing, wrestling, and eating but not Rugby. Things got worse when we saw who we had to play – some of the biggest and best clubs from a number of different counties. The coaches were a bit worried and tried to get player minds on the job with some defensive line practice and allocating players their roles in the team. First up were Cranleighans one of the better teams in Surrey. They were awake, well drilled and big. We were mostly awake, not used to playing with our tour team mates and still getting over last night. The coaches feared the worst after the first two or three minutes as Cranleighans dominated possession and made us make tackle after tackle and fight for the ball at ruck after ruck. The first half turned into legalised war as Cranleighans tried to batter their way through and the Horsemen sought to steal the ball and work their way up field. After 5 minutes of almost not stop defence Tom C and Theo rucked over and turned Hove ball into our ball. Seb got the ball to Noah and off he went the length of the pitch to score. That simply made Cranleighan’s angry and they attacked even harder but we continued to tackle them to a halt with Michel, Alfie, Christian and Tommy T in particular stepping up to make really crucial tackles. Then we ripped a ball from Cranleighans in a tackle and off we went with Noah who scored another length of the field try. The Cranleighans coach was utterly frustrated saying ‘How can we have 80% of the ball and be losing?’. Cranleighans did score a try to keep our parents heart rates beyond recommended levels but we held on grimly for a win. Next up were Hove, one of the biggest clubs in Sussex who had a number of teams entered in the Festival. They had some BIG players and again the coaches feared the worst as we had refereed them in the previous game and they had looked a bit tasty. They had a gangly boy called Otto who had caused chaos in his previous game and was like a one man army. The game followed the pattern of the previous one with Hove attacking and the Horsemen defending like their lives depended on it. The tackling on both sides was ferocious with Michel, James, Seb, Tommy T and Theo all outstanding but the rucking even more so as both times piled into rucks stealing ball from each other. Alfie and Tom C were flying into rucks and blasting the dreaded Otto out of the way. Again Hove had 75% of the ball but then the turnover kings struck and we scored an intercept via Noah - who ignored coach instructions as he had a plan to intercept - and Theo through a brilliant team try as we stole the ball, rucked and passed our way up the pitch. Hove had a consolation try but the Horsemen held on to win. Next up were Reeds Weybridge, one of the bigger Surrey clubs. This was another tackling and rucking battle where spent a lot of time on the back foot. The rucking was awesome led by Alfie who was getting to rucks very low and holding off one, two and three players at times so we could secure the ball and pass. Theo, Tommy and Noah gave a perfect display of how to rip the ball from the opposition. This was the game that got away. We had a good number of chances to score but the pass that was need to our willing support runners, Seb and Michel, was never made. We were feeling good and unfortunately that meat that we thought we could all take Reeds on ourselves without passing to team mates in better positions. In the end both teams scored two good tries (Noah and Theo for us) and we earned an honourable draw. Despite taking the lead through a good team try from Seb, we let in two team tries as Syston passed and ran around our tiring defence. We couldn’t turn the deficit around and ran out 1-2 losers at the final whistle. Lesson learned – we have to do the basics, stay on the pitch, go to ground when tackled and pass to better placed team mates. Player of the game – Seb – for his work rate and great try. 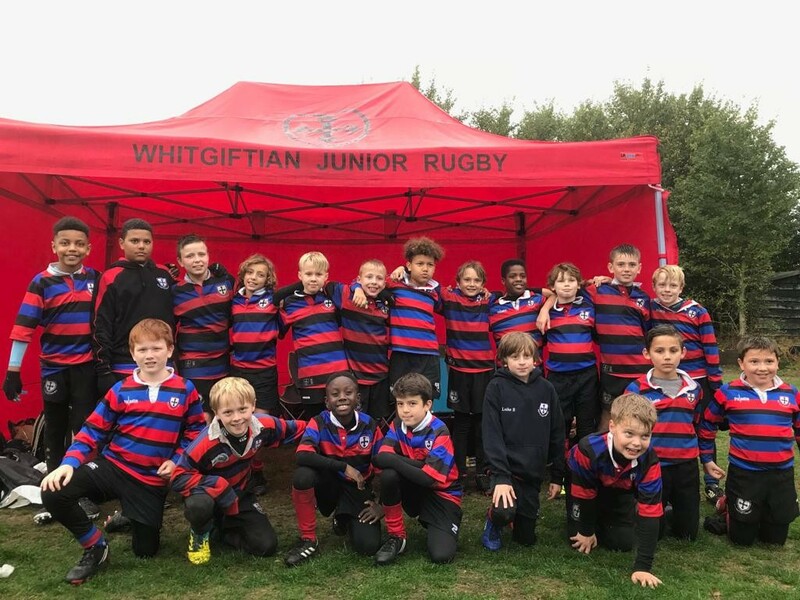 Last up we had Hitchin who proved to be the best team we played all day and who benefited from playing the Horsemen when they were tired out and battered. We simply could not get our attacking game going against Hitchin who could all tackle and ruck. Christian saved us a number of times from likely tries and Theo, Tommy, Tom, Michel, James, Alfie and Seb all made countless tackles and hit lots of rucks. Even with Theo and Noah joining in with big defensive tackles we could stop Hitchin scoring three tries as we tired. Lesson learned – Sometimes even giving everything we have isn’t enough and we lose to a better team. Player of the game – Christian for his try saving tackles and Theo for his phenomenal rucking. The Dragons line up was – Louis, Will L, Luke, Cameron, Sam P, Jax, Ronnie, Freddie, Zach and Bobby. Day 1 – Oakmedians - We started the first day of our festival with 5 games lines up, which is more than we normally play in a day. The boys were excited to be playing and the grounds were in a fantastic location surrounded by forest. The pitch that we were playing on was a bit of a mud bath and even I couldn’t have done a worse job of setting the cones up in a straight line! It was nice to be playing against teams we haven’t come up against before and all of the squads seem to have brought a lot of players and supporters. First game was against Hove, and we got started straight away, Ronnie ran through the opposition and put down the first try of the festival for us in the first couple of minutes. The boys were holding their line, tackling well and making some great runs to score. Game 2 was against Reeds, they had a better tackling game than Hove, but good passing from Cam and driving from Freddie and Ronnie meant that Louis and Jax were able to score. Game 3 Syston, we had watched this team play when we were waiting to play earlier and they had some very strong players. I think they scored first and we replied with another great try from Ronnie, driving through their team and well supported by the rest of the boys. They then scored a couple more and Jax ran the whole length of the pitch and scored a brilliant try. Unfortunately we didn’t manage to even up and this game ended as a 3 -2 loss. Syston were well drilled at Rip and Run, and that meant that they were nicking the ball from us and then running to score (in fact they should have passed before running but the ref didn’t call it). I think this is a part of our game – RIP-PASS-RUN that we could improve (over the last few festivals when we have come up against teams that are very good at this, we have lost out). Game 4 Teddington, this was another good team. Well supported and well disciplined, they tackled well, ripped and rucked. Both teams were quite equal and Sam P scored his first try of the festival. Jax made another great break and scored our second try. Teddington managed to score the same and this ended up as a draw. Final game of the festival was against the OC’s (I think Cranleigh? ), the boys were tired and we had picked up some injuries – Louis, Ron, Bob, Freddie, Cam all having seen some action, but they got on with it and played brilliantly, a nice win for the last game of the first day. We had a short journey to Bournemouth RFC for our second days Rugby. First up we had Hove again whom we had effectively mugged the day before. Hopefully they would not have learned from the day before. The game started as it had the day before with Hove dominating possession and pushing us back. However, fast aggressive blitz defence kept them at bay and we scored two breakaway tries through Noah H to lead 2-0 against the run of play (as always). However, Hove came back into it and as we bunched in defence they passed down the line and ran around us one, then twice and then a third time. With a minute left we were 3-2 down and began to battle our way up the pitch. Aided by penalties for fraying discipline by Hove we found ourselves 10 metres from the Hove line for the last play of the match. Christian received a good pass and ran for the corner before crashing over the try line. New Milton proved to be weaker opposition than our prior opposition and although we defended well the pleasing aspect of this game was that we started to show some attacking shape with real live passes being made while running to players better positioned than the runner. Scorers were Theo, Christian, Noah and Seb. Lesson learned – sometimes we just need to pass to the unmarked player who gets an easy score. Player of the game – Tommy for stopping their big scary guy dead every time. Fordingbridge were very similar to New Milton but unfortunately came up against the Horsemen in passing mode. We scored tries through Noah, Christian (2) and Michel (4). Lesson learned – look what happens when we pass …. Player of the game was Michel for his direct running. Last up we had Hitchin, who had beaten us badly in the last game the day before. We started badly as Hitchin got off to a flyer with two fairly quick tries as we bunched in defence and were passed/run around by Hitchin. The second half started the same with Hiitchin getting a second try and us going down first to 7 players and then 6 as a result of some very big Hitchin tackles and heavy rucks. But then something strange and wonderful happened. The most placid team got angry and put that into tacklers and rucks. Suddenly it was Hitchin on the back foot and them conceding penalties for ruck infringements and high tackles. We continued to raise our game with Tom C and Alfie in particular wrecking Hitchin’s rucks, stealing their ball and putting in really solid tackles. Eventually after sustained pressure we scored a well deserved try. Lesson learned – When in trouble we have to reach inside ourselves and find a bit more, try even harder, be even more determined and leave everything on the pitch. Player of the game - Alfie and Tommy for the sheer number of tackles and rucks made. Game 2 Tottonians, this was really a show of force against a weaker team (who at no point gave up – credit to them for their brilliant spirit). We played great rugby in this game, Cam and Luke both scored. Paul added some extra rules at half time because were we ahead and made the boys pass 7 times before scoring (amazingly they found it easy). The passing and positioning was very good. Bournemouth home side were up next, and we carried on our run (this was a team we thought would be one of the best, but our boys managed to convincingly beat them). Our boys communicated well, passed and supported each other (positioning was excellent), Zach scored a lovely try, great team play and a good result. Hitchin was our last game, and Paul mentioned that when he had reffed them that they were a tough team. It was more of a battle than a game and tempers were raised but the boys played hard rugby. We had some long breaks thoughout the day and the sun was blazing, so at this point the boys were tired and the play was messy (both sides were similar). You could see that both teams really wanted to win and that they were well matched. Hitchin scored a try and we couldn’t break through to equalise, Louis took a hit and came off, and then Jax also was injured. The boys rallied and you could see that they were looking for every opportunity to score but just could break through Hitchin. As we got into the final minute of 2 of the last game, we took possession and the ball went down the line to Bob who did one of his trademark duck and dives and ran into the opposition and somehow danced through them to score the equaliser. Shortly after the final whistle blew. For the Tour Dragons, this was a brilliant 2 days of Rugby, in the time I’ve been going to Rugby I’ve never seen a festival where every boy scored. I think it was also a team where all of the players were all in, there was no hanging back. A team where all of the boys worked hard, and fought for each other while sharing the workload. They were a pleasure to coach and watch and the support from the parents was also fantastic. This is the 3rd Tour and the most enjoyable yet. The tour embodies the spirit of the squad, playing hard, have fun, inclusivity and teamwork. As always we are looking for more players to join, so if your kids have friends who you think would like to play please do bring them along.